Police remain silent, cordoning off the area from public view. Xinhua devotes only two lines to the incident. The square is always under heavy control to avoid any form of protest. Beijing ( AsiaNews / Agencies) - Three people died and others were injured in an "accident" that occurred in Tiananmen Square at noon today. According to initial reports a car drove into a crowd, injuring a few tourists . According to witnesses the car exploded and the dead include the driver and two people on board. The website Qianlong.com, linked to the Communist Party of China , said that some tourists and a policeman were injured in the blast . 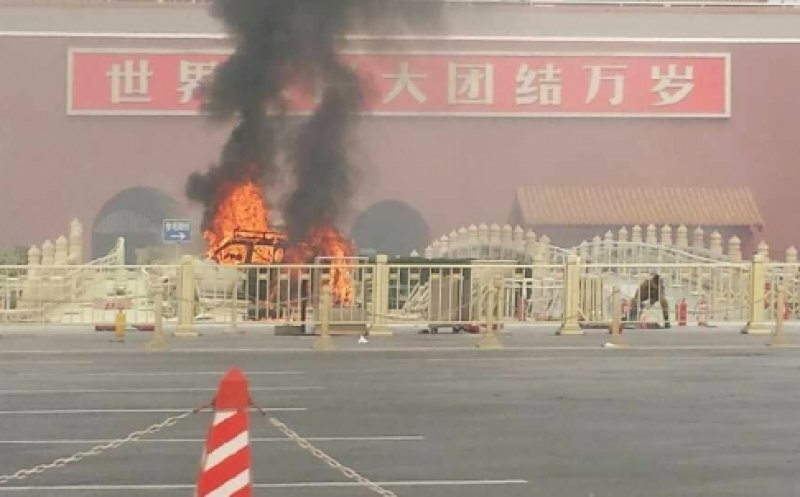 Xinhua, with great simplicity, devotes only two lines to the incident, saying that "a jeep went into the crowd and caught fire in front of the Tian'anmen Rostrum." 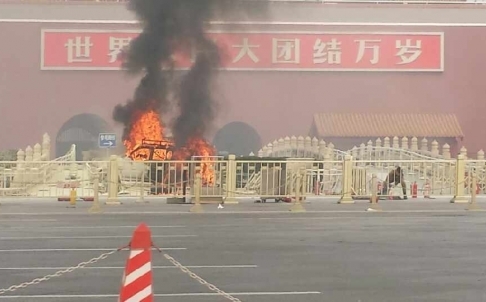 Some witnesses took photos of the vehicle in flames in the north end of the square in front of the entrance to the Imperial Palace , where a portrait of Mao Zedong hangs. The area is also close to Zhongnanhai , the area of the " Forbidden City " where most of the leaders live. Witnesses said that after the explosion and flames, fire fighters and police arrived en masse at the scene blocking traffic in the area and cordoning off the scene of the accident from the view of passersby. On 4 June 1989, the square was the scene of a massacre of students and workers who demanded more democracy and less corruption. Since then it has been constantly under heavy police surveillance and security controls to nip any demonstration in the bud. Questioned by journalists, the police did not give any explanation.